Update 02/02: Dragon Ball Super: Broly has now overtaken Studio Ghibli’s Howl’s Moving Castle as the second-highest grossing anime film in the United Kingdom! Manga Entertainment have also scheduled additional screenings for the film due to high demand, with some cinemas showing the film as late as Thursday. If you’ve not seen the film yet, the full list of additional screenings can be found on the film’s website. Original article: Toei Animation’s Dragon Ball Super: Broly has now surpassed anime sensation Your Name at the UK box office, distributor Manga Entertainment confirmed to Anime News Network this morning. The film is now the third-highest grossing anime film in the country, only behind Studio Ghibli’s Spirited Away and Howl’s Moving Castle, with the last quoted earnings being £850,000 – and with screenings still available in selected cinemas until at least 2nd February, that number is only expected to grow! The fans have been the driving force of this whole campaign, and should be proud to have made Broly the success it is today. They have been truly incredible, and their outpouring of support across social media has made this release an absolute pleasure to work on. We’re all so proud of what the film has achieved so far, and I’m excited to see what’s next for Broly – because it’s not over yet. 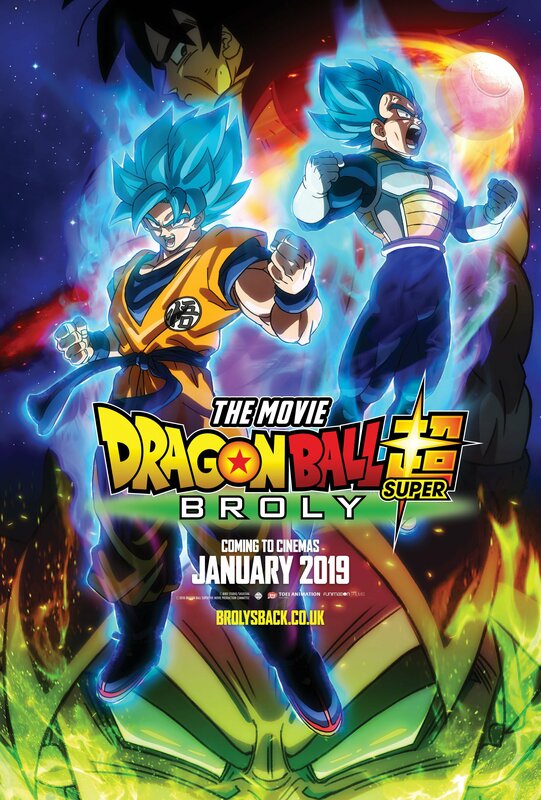 Dragon Ball Super: Broly opened in selected cinemas nationwide on 23rd January, with a list of current screenings available on the film’s official website. You can read our review of the film here.